Shopping in Gallatin County for kitchenware, dorm bedding, stylish storage solutions or modern home décor ideas? Get inspired at the Bed Bath & Beyond® store near you in Bozeman; you’ll find it on the north side of town, just off I-90 (use the N 19th Ave exit). 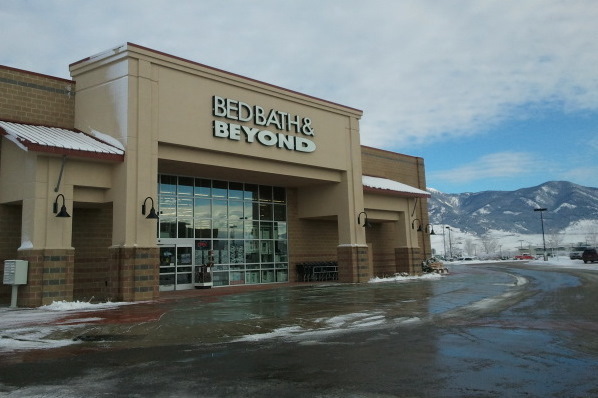 Get the style you want, shop all the brands you love and get everything you need for your home at this Bed Bath & Beyond® store located at 2155 West Cattail Street, Bozeman, MT 59718; (406) 586-3125. Going to Montana State University? Use the college checklist to get twin XL sheets, tailgating supplies (go Bobcats!) and dorm essentials; friendly and knowledgeable associates are ready to assist you with your selections during store hours. Need the perfect hostess gift? You’ll find a nice selection of gifts for every occasion at this store; use the gift registry feature to create or shop a baby registry, birthday registry, housewarming registry, anniversary registry or custom occasion registry.